Add Nav Lights AND FPV! 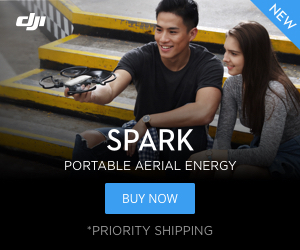 TO ANY DRONE IN 1 Minute for $15 Starring DJI Tello ....This is NOT click bait. 1. Get the camera closer. Most of us see these videos on mobile devices and it's hard to see what you are doing. 2. Be more succinct when talking, but explain with details. Saying things like "who cares" or "throw this away" might make people feel uncomfortable and lose interest in the video. Remember there are all different types of people with different ways of thinking. For every like you get 2 new viewers. For every downvote you lose 7 potential viewers. 3. Which Walgreens you buy the screwdriver, tape, and clipper? Almost forgot. The girls in the background. Are they the Lady Boss and Little Boss? Nope...its a test pattern from Fuji randomly found. I have used it for years to advertise eBay products. I appreciate the gesture, but I don't need photos of your ex or daughter. I made the comment of the screwdriver, because I have the same set and they only sell them at Walgreens. Used to be $2, but now they ask $10. F that! "Nope...its a test pattern from Fuji randomly found. I have used it for years to advertise eBay products. " The 4K footage I filmed has some quick video tests. My computer for editing just couldn't handle it. I struggled for hours. Lesson Learned. Are you having a conversation with yourself? I've heard of people that talk to themselves, but this is the first one that I see someone on a forum. What software do you use? Most PCs struggle to do playback of the video, but the end result does play well. I can atest to that. I use a 2014 Aorus X7 v2 for my editing. Can't play previews for s**t, but my videos turn out great. I must be missing something. Your video shows you stripping a toy drone and taping it to the top of a Tello. You are very enthusiastic about the whole process, but it doesn’t show how you managed to fly the Tello and control the new lights/camera at the same time from either the Tello app or TelloFPV app. What am I missing? Coming in a video as soon as I produce it! I am going as fast as I can! Thank you for your patience! This great video shows The full app,Basic set- up, use and more. Simply use the mod with Tello FPV and you are in business! Nope. None the wiser for watching a video about the E57.